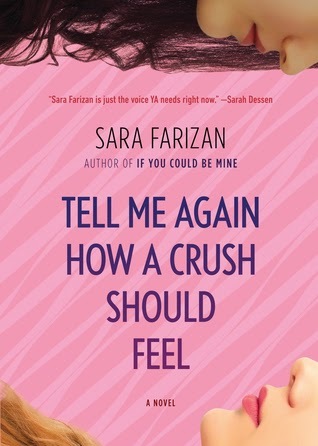 Tell Me Again How A Crush Should Feel was not my usual type of read as it apparently fell under the YA category but I had heard so many positive things about Sara Farizan that I decided I needed to read it and see what all the fuss was about. I quickly grew to love Farizan's characters and the writing so everything I had heard about her fell into place right away. This was the story of Leila and her fears about being accepted as a lesbian, not only by her Persian family but also by her peers. It was a very emotional read as I can only imagine what a difficult situation it would be for a young person to find themselves in. The interesting thing about this book was that even though Leila was scared of being judged, she also had her own pre-conceived notions about what gay people were like- she even wrongly believed certain girls at her school were lesbians. Ironically, these were also the most accepting of her which I felt was a nice life lesson to include in the book. Tell Me Again How A Crush Should Feel should be mandatory reading for all young people as it teaches us to tolerate and even embrace differences. It brings a very human and personal view to what it must feel like to be different. Thank you to Algonquin Young Readers for our review copy. All opinions are our own.